We’re indebted to Stuff & Nonsense, Andy Clarke’s website design agency, for the visual design and site build. Working with Andy’s team is always a pleasure. I especially like their engagement process, in which they attempt to get under the skin of their client by asking a set of questions designed to elicit a deep understanding of the client’s philosophy and values. What does Required Experience stand for? At Required Experience, we get our greatest satisfaction from providing clients with solutions that enable their customers and users to perform their digital tasks successfully and with ease. I’ve always really admired designers whose work helps people to do their day-to-day tasks as successfully and as simply as possible. And, one of the designers I have the greatest admiration for in that respect is British industrial designer, Kenneth Grange. I was suddenly taken back to the day in 2011 when I visited London’s Design Museum to see Making Britain Modern, a major retrospective exhibition of Grange and his work. 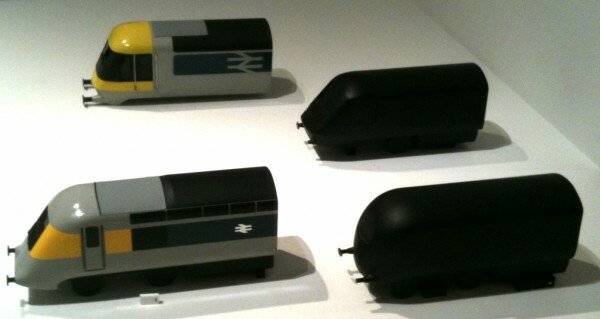 Prototype models for British Rail’s High Speed Train. Grange designed the body shape and livery. I already knew something about Grange’s approach to design — which leans heavily on the use of models and prototypes — and I though there might be some lessons to learn (however tangential) for my own work on prototyping digital user experiences. Yet, walking around the exhibition, what struck me was the shock of discovering the sheer extent of how much the man had influenced my life, without my even knowing. 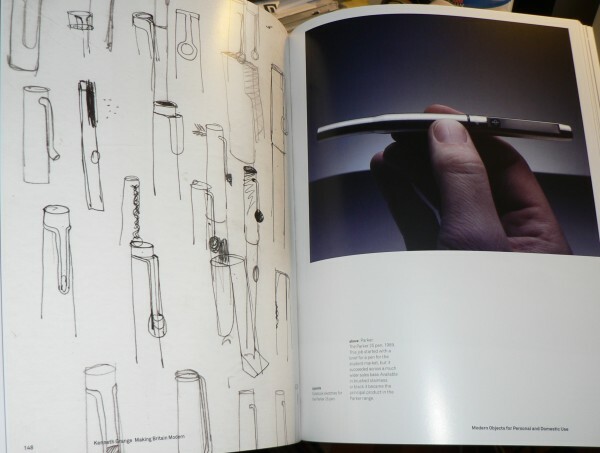 It was also some of the best evidence I have ever seen to prove how much good design, with an accompanying focus on the user, can enhance products and the impact they have on our lives. 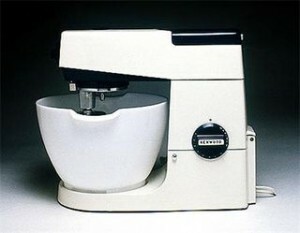 The first flash of recognition came with the Kenwood Chef food mixer. As a kid growing up in the ‘seventies, it seemed that the mum of every friend I had owned one of these, whirring away in the corner of their kitchen, mixing a cake the cake that would be scoffed down at the end of a hard day’s play. My Mum had one at home, too, always on the counter-top, always working, never put away. Nearly 40 years later, it’s still the mixer she uses. 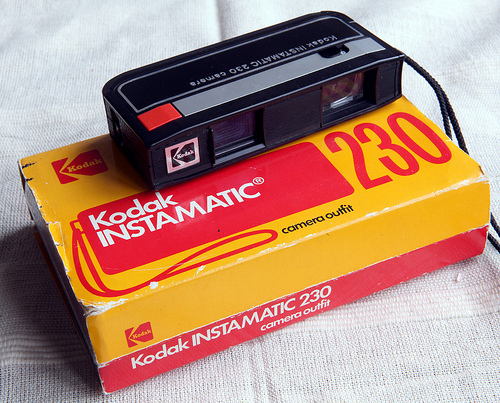 In fact, the very first camera I owned, a 110 format film Kodak Instamatic. I remembered what a delight it was to use — the drop-in film cartridge, the handy telephoto lens, the hard case that cleverly doubled as a handle, and the shape, perfect to hold and all the buttons so easy to reach. On display were samples of the wooden models Grange used to test out the shape and size of the cameras with end-users — a process that convinced him to make the cameras slightly larger than he had originally intended because testing the models showed that the larger size was more comfortable for people to use. And then, I saw the pen. Not just a pen – the pen. In the junior school I went to you wrote with a fountain pen. My parents bought me a succession of cheap, no-name fountain pens that each lasted about five minutes before they either leaked, burst, split, disintegrated, or, on one memorable occasion, squirted their inky black contents into the mouth of a teacher who had decided to chew on the end while scrawling nasty comments over my attempts at long multiplication. To me, fountain pens were crap. 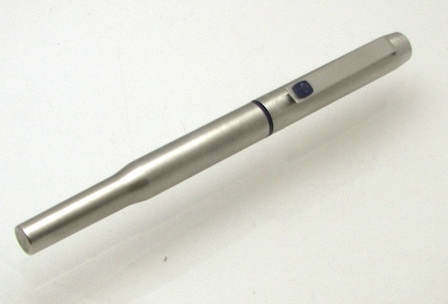 Arguing that it made sense to go a little bit upmarket to get a pen that had at least a chance of lasting to the end of term, I cajoled my Mum into buying me the sleek, brushed-steel, modern-looking fountain pen that had just taken centre-stage in the window of the local WH Smith. The pen was a Parker 25. It certainly looked good. But, it also wrote well. It felt good in the hand. It lasted until the end of term – and well beyond that. And, it was designed by Kenneth Grange, although I had no idea of this until I went to the exhibition. I had that pen for something close to 15 years. It lived with me through junior school and also my bog-standard comprehensive. It came to college with me. It’s impossible to remember how many notes, essays and exam papers that pen helped me write over those years – I guess it’s in the thousands. It never let me down. But, that pen didn’t just work on a functional level – it worked emotionally, too. It was my pen – I was proud of it. It made me a fountain pen user for life (for which I am eternally grateful). The only reason I still don’t have it is that, when moving out of my first set of digs at Poly, I lost it. Guess what I replaced it with? Another Parker 25 – this time, a black one. At the exhibition, there was a sheet of paper on which Grange had repeatedly sketched out what the Parker 25 could look like, each drawing slightly different, each helping him get a little closer to his desired design. It suddenly dawned on me how much I was in debt to Grange and his approach to design – all that hard work had made my life easier, better, more productive. I can’t possibly hope to have the effect that Kenneth Grange has had. But, that’s no reason not to try, or at least use his method as inspiration for my own approach. Grange was a pioneer of user-centred design. One of my reasons for setting up Required Experience was my desire to champion in digital media the use of frequent, iterative prototypes that can be put in front of users to gain their insight and feedback, before a solution is finally developed and launched. An approach not unlike Kenneth Grange’s: focus on the needs of the user, iterate the design until it meets their needs as simply as possible, make their life better as a result. And, that’s why my answer to Stuff & Nonsense’s question was “Kenneth Grange”.